Khas Bhartiya Hitkari Sammelan Youth wing today organised a Khas Sanskritik Mahotsav 2016 at town Hall. 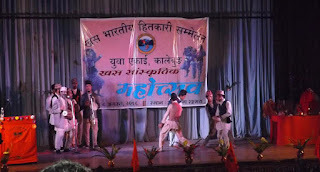 The program was conducted under the presidentship of Gyan Sutar. The meeting got massive turnout today in town was to give a clear message to State government that the community too wants their development. 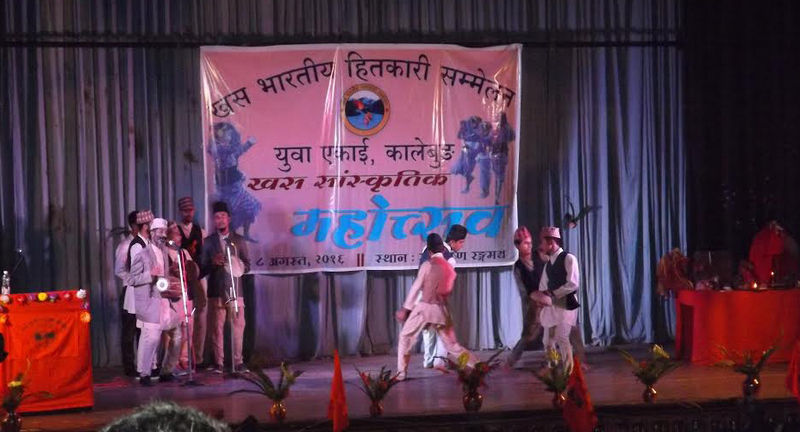 The organization has massive members from Chhetri, Brahmins, Thakuri, Sanyasi sub caste. The program gave a clear message to state government who has till now granted ten Development board to different caste . Udai Kumai was present as the chief guest of the program. Rajen Bhetwal Presidnet of Youth Wing addressing the program told that the Khas has a rich culture and heritage which need to be preserve. Our community lacks development. He said till now the community has got bags of assurance from the Local Body GTA and State government but if soon if our community does not got recognized we will come to roads for our demands. The Khas Community development has been hinted toward a development board which can preserve the culture, tradition; they want to get the facility enjoyed by other community, Home for the poors. The Parents bodies of the community too have lent the support to youth wing demand. Today many cultural dances were present by the local artists. The program was addressed by Binoy Nepal, Udai Kumai Sangita Mishra from Women wing. The pogram was hosted by Bhuwan Khanal. 0 Respones to "Khas Community organises Sanskritik Mahotsav , demand development of Community"